This will make you want to run to the beach. 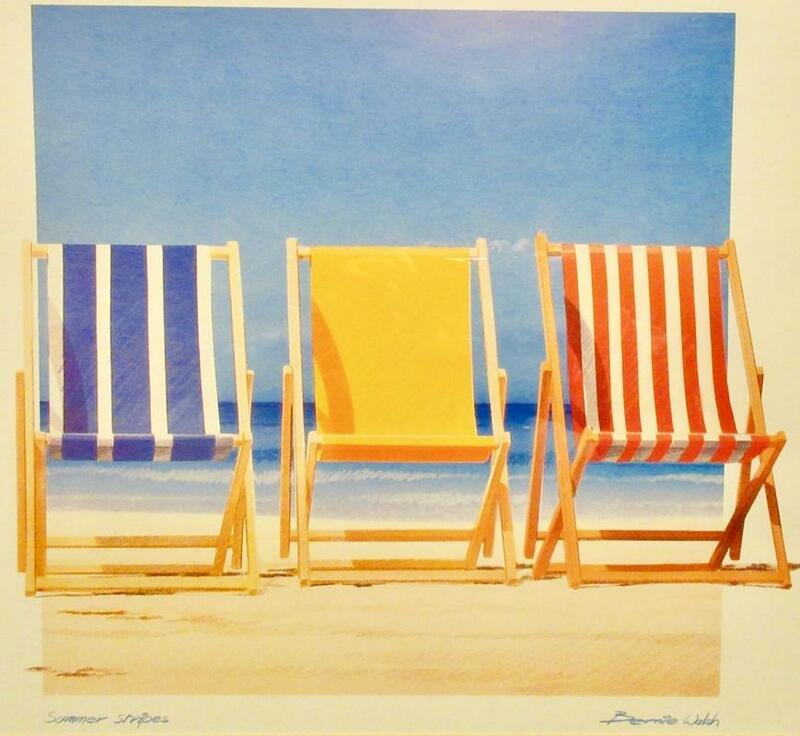 A very colorful and cheerful print by Bernie Walsh entitled Summer Stripes. In a teal blue aluminum frame under a double acid free mat. 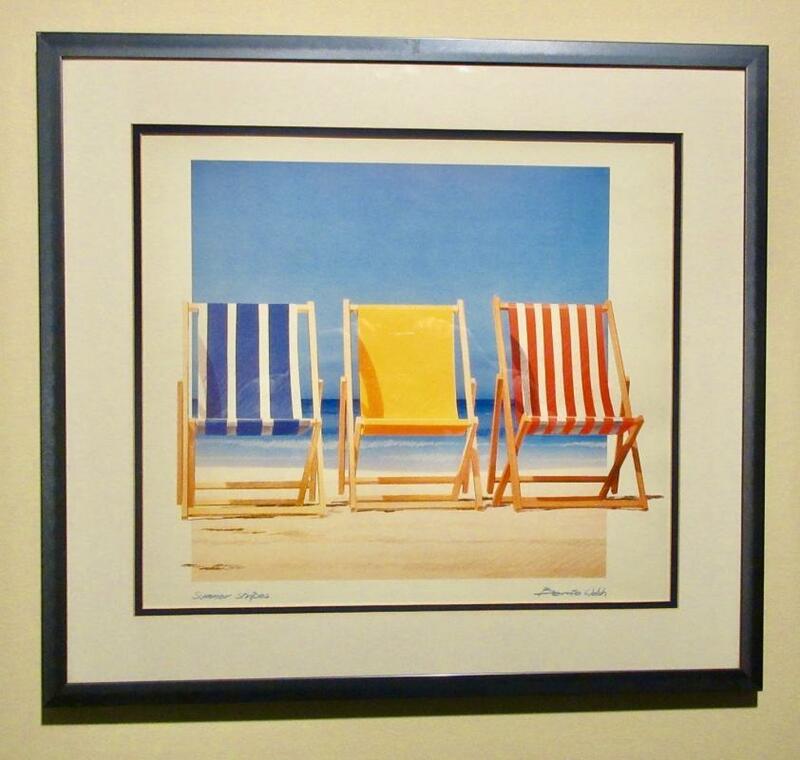 The print is mint, the frame has some evidence of use but no serious damage or repairs.